The Valley Forge Middle School PTO is a volunteer organization of parents that exists to support the administration, staff, faculty and students of VFMS. By offering programs, raising money and providing volunteers at school and PTO events, we work to enhance every student’s experience at VFMS. Supporters can make a donation at any time through the PTO’s Direct Donation program. Fundraising activities take place throughout the school year. They include the social events, sales of locker shelves and spirit wear, book fairs, fundraisers at Kiwi, 5below, Chipotle and other activities. For more information or to become involved, please contact PTO Vice President for fundraising Tereza Keohane through our contact form by selecting VP Fundraising. This year we transitioned to a paperless directory. From data collection to making the directory available both on your computer as well as your smart phone. Using MySchoolAnywhere service for our family and faculty directory, online store, volunteer signups and email communications. The directory access will cost $10, all other utilities are free. Web Access: go to www.myschoolanywhere.com and click Login Mobile Access while on the go: Install the App on your phone! Questions? Contact our system administrator at directory@vfmspto.org or visit myschoolanywhere.com. Install the Free app! Download the app by searching for MySchoolAnywhere in the iTunes App Store or Google Play. The app allows you to access our directory, manage your family information, purchase in our store and signup for volunteer activities all from your phone! The Directory features advertising of local businesses and organizations that support the PTO financially by purchasing an advertisement. The advertising coordinator is Doug Jones. To place an ad, or for information, use our contact form and select General Inquiry. The PTO awards Golden Apple Grants to support to support outstanding and innovative programs, ideas and/or purchases which will enrich the educational experience at VFMS. The standard Golden Apple Grant is $200 and typically up to 10 grants will be made available during each school year. The coordinator for Golden Apple Grants is Tarin Cataldo. 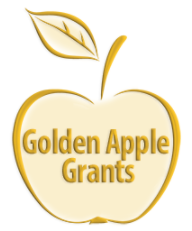 You can apply for a Golden Apple Grant or view a Showcase of past grants awarded right here on our website. The PTO sells locker shelves that fit VFMS lockers and can be removed and reused during all four of a student’s years at VFMS. 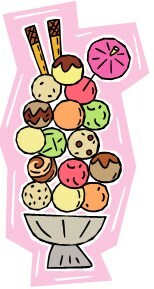 Orders can be made through the PTO website. The coordinator for locker shelf sales is Celi Nassif. In cooperation with the English and Reading teachers at the school the PTO organizes two bookfairs a year. In the fall parents can get books for the school year and in the spring you can get books for your summer reading. The bookfair is usually at Barnes and Noble and the school benefits from all purchases made there including cafe and online purchases. The PTO brings art and artists into VFMS by funding and selecting visiting artists and occasional artists in residence. Each year, the Cultural Arts program provides one or two all school assemblies featuring a variety of performance arts such as theatre, vocalists, dance, magic, juggling and drums. 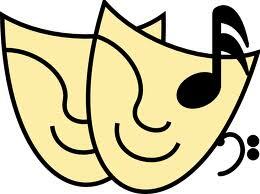 Grade level assemblies have included comedic Shakespeare, slam poetry, a play about Greek mythology and author/illustrator visits. In addition, an artist in residency during the 2013-14 school year resulted in the ceramic tile mosaic that now decorates the VFMS lobby. The PTO Vice Presidents for cultural arts are Jamie Lynch and Emily Brunner. To become involved, use our contact form to reach them by selecting VP Cultural Arts. The PTO hosts a number of social events throughout the school year to give students and parents an opportunity to get together. Some of the events that are held annually are the New Family Breakfast, the Parent Social and the Ice Cream Social. For more information or to become involved, please contact PTO Vice President for Socials Stacey Pellegrini through our contact form. The PTO helps make graduation from VFMS a memorable and happy occasion for our graduating students and their families. A team of two or three PTO volunteers serve as 8th grade graduation coordinators. They oversee volunteers preparing a memory slide show that will be shown at the 8th grade graduation ceremony. In addition, these 8th grade parents plan the 8th grade reception that takes place in the VFMS cafeteria following the graduation ceremony. This responsibility includes ordering/purchasing the cake and beverage refreshments that will be served as well as overseeing a small committee of volunteers who set up the refreshments in the cafeteria, cut and serve cake and beverages to the graduates/families and clean up at the end of the event. The coordinators also work with the PTO’s Beautification team to decorate the stage with flowers and balloons on the morning of graduation. The PTO is currently recruiting coordinators for the Class of 2017 graduation. Please contact PTO Vice President for Socials Stacey Pellegrini through our contact form to volunteer or for more information. The PTO hosts a luncheon for faculty and staff on the last day of the school year. The PTO is currently recruiting a coordinator for the 2016-17 school year Teacher Appreciation Luncheon. Please contact PTO Vice President for Socials Stacey Pellegrini through our contact form for more information. The PTO sells spirit wear to raise money for the School and to raise VFMS spirit. Spiritwear store offering will be available soon. 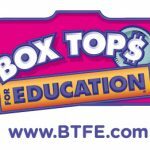 The PTO Box Tops for Education coordinator is Brookie White.